2017 Has It's Word Of The Year. It's' Fake News'. Defined as "false, often sensational, information disseminated under the guise of news reporting", fake news takes over from Brexit - which was named the definitive word last year after the June 2016 referendum in favour of the UK's exit from the European Union (EU). 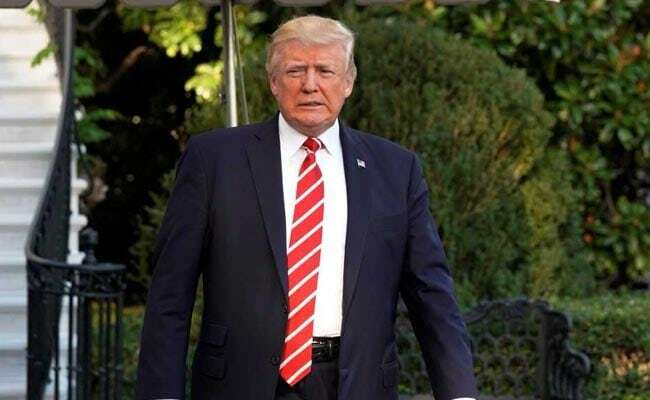 London: Fake news, a term heavily popularised by US President Donald Trump, has been named the word of the year by Collins dictionary due to its widespread use around the world. The UK-based lexicographer found that the use of "fake news" registered a 365 per cent rise in the last 12 months, reflecting Trump's consistent use of the word in the wake of the 2016 presidential election in retaliation to unflattering media coverage. "'Fake news', either as a statement of fact or as an accusation, has been inescapable this year, contributing to the undermining of society's trust in news reporting," said Helen Newstead, Collins' head of language content. The US President has regularly used the phrase to criticise certain media reports and most recently claimed this week that the "fake news is working overtime" in connection to the investigation into Russian interference in the 2016 election. But Trump has not been alone in using the term. Both British Prime Minister Theresa May and Opposition leader Jeremy Corbyn have included it in speeches, and social media has been littered with accusations of fake news. Other words on the 2017 shortlist included "genderfluid", defined as not identifying exclusively with one gender rather than another; "fidget spinner", the toy being twirled by children around the world; and "gig economy" - the term for a system of casual, unstable employment that firms like Uber are associated with. Other words that stand out include "antifa", an abbreviation of anti-fascist, "echo-chamber" to describe opinions being reinforced through social media, and Corbynmania - in reference to the popularity of the UK's Labour party leader. "Much of this year's list is definitely politically charged, but with a new president in the US and a snap election in the UK it is perhaps no surprise that politics continues to electrify the language," Newstead noted. All new words and meanings from the year will be added to CollinsDictionary.com and considered for inclusion in future print editions of the dictionary. NDTV At Facebook Election War Room In California, "Bigger Than US Polls"